Called BlackFly, the single-seat, all-electric aircraft doesn't require the flyer to have a pilot license in order to operate it in the US, according to Palo Alto-based Opener. Opener first drew up concepts for BlackFly nine years ago and has now built an early prototype that can travel 25 miles at speeds of up to 62mph. 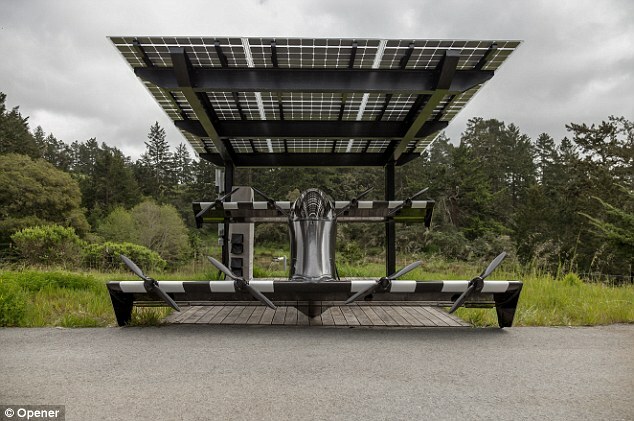 BlackFly is an ultralight vehicle that consumes less energy than a traditional electric car and is also built to be steathily quiet. The battery can be recharged in as little as 25 minutes. Users don't need a pilot's license to operate it, but they must take part in minimal training, including sitting in a simulator for about five minutes. It's powered by eight, small electric motors and controlled using a responsive joystick. 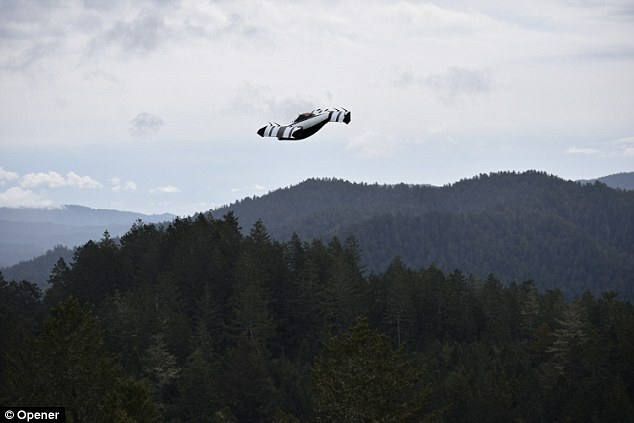 Opener CEO Marcus Leng hopes that the BlackFly flying car will be ready to go on sale as soon as next year. Unlike other flying car models, Leng plans to keep BlackFly affordable, with a price tag near the cost of a traditional SUV. 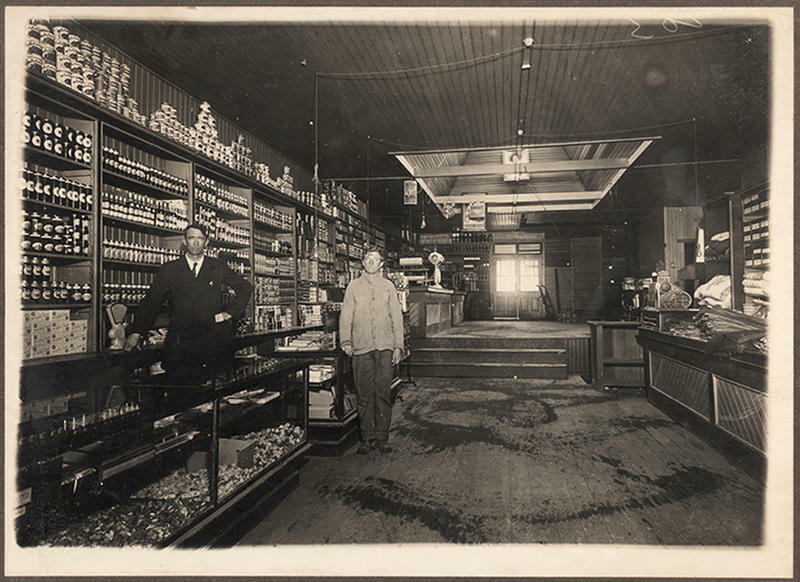 Earlier models may be more expensive, however. 'Opener is re-energizing the art of flight with a safe and affordable flying vehicle that can free its operators from the everyday restrictions of ground transportation,' Leng said in a statement. The hope is to democratize 'three-dimensional transportation' such as flying cars, while maintaining safety. Opener has conducted rigorous testing on BlackFly, including 1,000-plus flights and 10,000-plus miles flown. 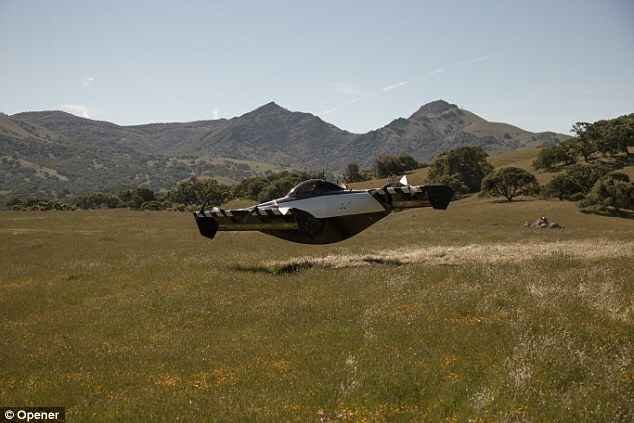 The vehicle, which has been tested in Canada, takes off and lands with a joystick, but also has a 'return to home' feature that enables autonomous flight back to a landing base. BlackFly also has the option of being outfitted with a ballistic parachute. 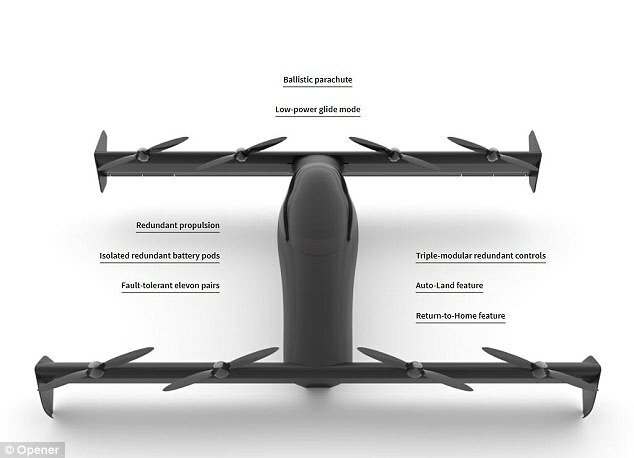 It's not designed to drive on roads; instead, it's more similar to a 'human-carrying drone,' according to the BBC. Leng is joined by a board of directors that includes former Google and NASA employees. 'The future of Aviation begins today, Eustace said in a statement. 'OPENER is putting the fun back into flying and opening up a new world of possibilities,' he added. The move comes as Google founder Larry Page's flying car startup, Kitty Hawk, received funding from the US military earlier this month. It'll no doubt help Kitty Hawk get closer to its goal of making the futuristic flying car available for test flights to the public.